My B/F bought me this collection of nesting Big Cats..they are just the coolest. We have them up on the fireplace mantel! Woman in South Africa shares home with Big Cats! 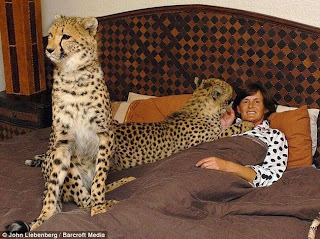 Woman lives with Big Cats! 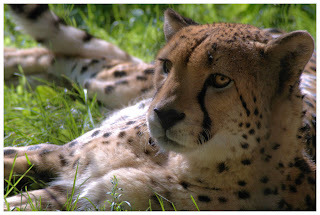 I was reading this story my BF sent to me about a woman who lives in a HOUSE with two cheetahs, five lions and two tigers. Can you just imagine this?.. 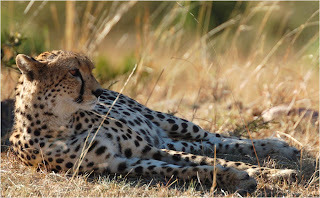 "..NO cheetahs on the kitchen counter!! ". 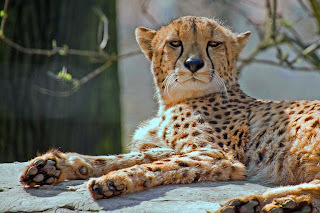 I mean, don't get me wrong, I absolutely love cheetahs, but they are not the calmest of animals. They are constantly pacing nervously, quite hyper at times..I just can't see them curling up like a cat at the end of the bed by Momma's feet. 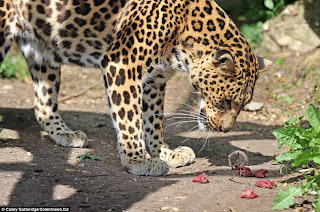 Big cats aren't meant to be house pets! 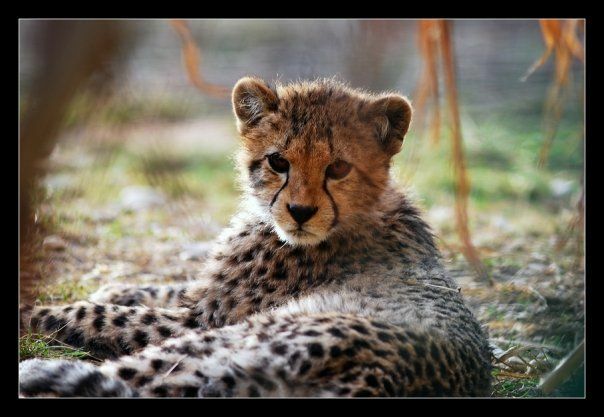 Lion cubs are actually born with spots that help keep them safe from predators. 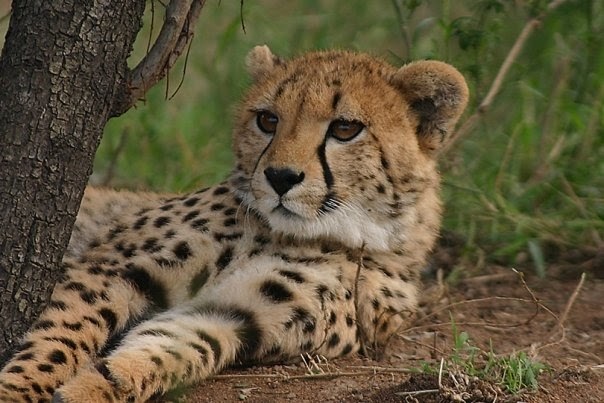 As they grow, the spots disappear, though some adult lions keep a few spots on the legs. 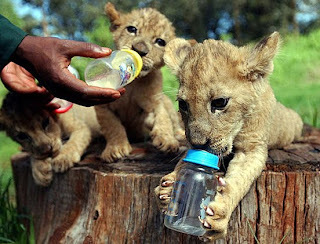 Unlike the tiger cub, these lions will have "aunties" in the pride that help him along. 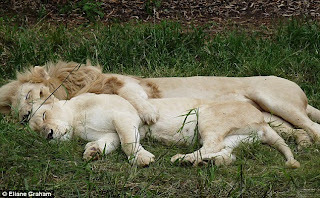 Female cubs tend to stay in the pride of their birth. 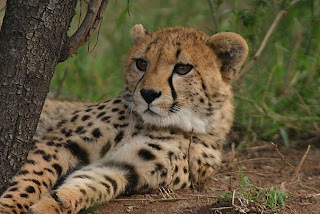 Male cubs move along when their mane starts to emerge and wander about as bachelor males until they find a new home. Let's "tour" a Cheetah !